Cash Advance is a trustworthy payday loan company with nearly two decades of experience and millions of customers nationwide. 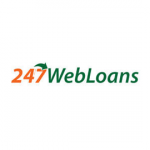 They specialize in connecting anyone in need of a quick financial solution with a reputable lender, providing their users with a safe and easy way to take out a fast payday loan. The company’s services are free of charge, with no costs attached to the process of selecting the lender. 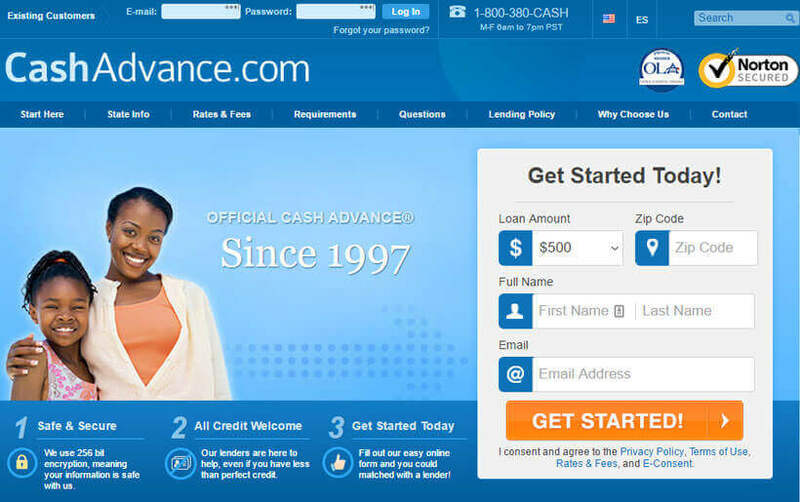 As a member of the Online Lenders Alliance, Cash Advance operates in accordance with all federal laws related to online lending and offers its customers the maximum level of protection and security, as well as all the information necessary for making a sound financial decision. This company is ranked #3 on our Best Loan Companies list. We mentioned before in this Cash Advance review that this company does not broker loans, but operates as an intermediary. They take pride in their honest, ethical approach to the business and cooperate with a vast network of credible lenders. In order to apply for their services, you need to meet the minimum requirements posed by the company, which include being 18+years old and a US citizen (or permanent resident) and having a job and a take-home monthly paycheck of at least $1,000. 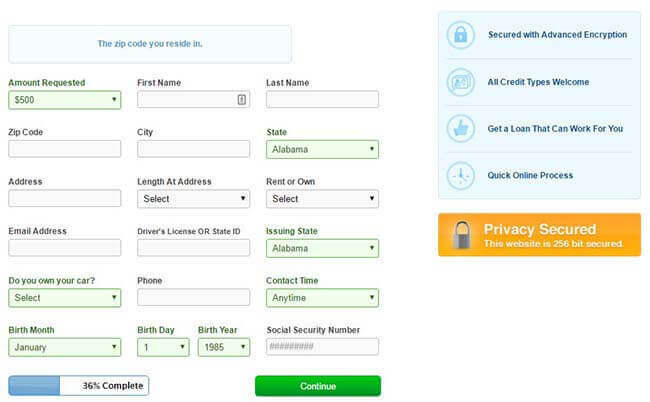 You also have to possess a valid checking account, email address, and phone number. If you meet all of these criteria, you can apply for a payday loan and Cash Advance will match you with a lender whose offer best suits your financial needs. The company gives you full freedom to decline the offer if you are not satisfied with the terms. The whole process is extremely quick and simple and the only important thing to keep in mind is that you should familiarize yourself with the loan terms that apply for your state, as well as the information provided by the lender in order to avoid any unpleasant surprises during repayment. Cash Advance does not determine nor influence the lending terms and they vastly differ depending on the option you choose, which is why it is up to you to carefully examine the information provided by the lender and determine whether you find the terms to be fair. The main reason why you should opt for this company is that it is truly straightforward about the way it operates and offers you great security and customer service. All lenders Cash Advance cooperates with are evaluated in terms of conforming to the rules of fair lending practices in order to eliminate the chance of you getting tricked into taking out a cash loan you cannot repay, getting insufficient information or being harassed during the repayment process. This part of the process is really simple, as you are only required to fill out an online form, with all of your personal information safely stored and protected. Once you submit your data, Cash Advance will match you with a suitable lender. This is when you get information about all the terms, so we advise you to review the details carefully before making your decision. As far as the repayment process goes, the money can automatically be deducted from your checking account on the due date of the loan. If you are late on a payment or make no payments at all, the rules that apply are determined by your state of residence, as well as your lender, which is why it is important to review the loan documents you received from your lender, as well as the state regulations prior to accepting the lender’s offer. Although Cash Advance does not determine the repayment terms, it does impose certain rules when it comes to debt collecting practices. The lenders are not allowed to contact you by phone before 8 a.m. and after 9 p.m. and may not use phone communication for harassment or speak with you in a disrespectful manner. They may not threaten to take any legal action if it is not strictly determined by the relevant laws, nor demand any payments through deception or misrepresentation. They need to abide by the relevant laws determined by the country within which they operate. If a lender violates any of these rules, Cash Advance will report them to the Federal Trade Commission and abandon cooperation with the lender altogether in order to protect you from any form of abuse. It also allows you to report suspicious debt collecting activities through the Scam Report online forum. 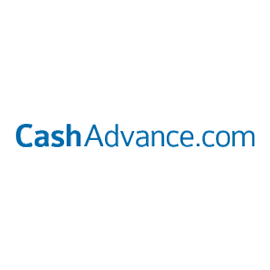 As we have mentioned earlier in this Cash Advance review, this company does not lend money directly but only connects you to the lender that can offer you the exact financial solution that you need. The rates and fees are exclusively determined by the lender that you choose and vary in dependence of the state and the amount of your cash loan. Once the lender gets in touch with you, you will receive all the information regarding the rates and fees and decide whether you find the terms to be acceptable. In order to provide you with a rough estimation of what you can expect, Cash Advance offers a calculator that gives you an approximation of how much you will be expected to repay in comparison to how much you borrow. However, you should keep in mind that the actual amount to be repaid might differ from the one provided by the calculator due to the differences in the lenders’ individual practices. As you could have deduced from our Cash Advance review, this company truly aims at providing you with all the details necessary for making an informed decision, offers you a great level of protection, and does not compel you to agree to any terms you are not comfortable with. Once you apply, you are quickly matched with a lender and get to decide whether you want to accept the offer, after carefully examining the rates and fees involved. However, you cannot view this information on the website itself, which only offers you a really rough approximation that does not have to even closely match the actual amount you will be required to repay. What is good about Cash Advance is that they are extremely fair and open about their practice, making you aware that you should use their services as a last resort. It also does not impose any rigorous application requirements, so almost anyone can use the company’s services in times of financial need. 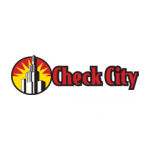 They are really quick and the lender contacted me a couple of minutes after I applied. The rates were, let’s say, typical. 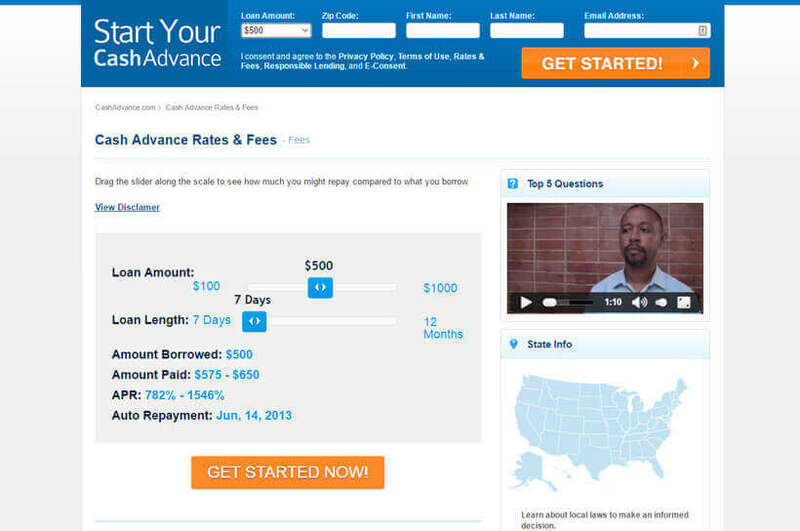 Anyway, if you really have to take out a loan, Cash Advance at least makes it quick and private, if not painless. The only thing I’m satisfied with is how fast they approved my loan (like, 5 minutes). I’ll just say that I had to repay almost twice as much as I borrowed. No complaints about the way Cash Advance operates, but I wasn’t happy with the lender’s policy at all. Hope I won’t have to use their services again.